After that decision we then chose Dilmah tea as our tea supplier. They came highly recommended and we needed to find a more ethical supplier, with the same ground root values, and one #bmfamily?? could develop an emotional connection to, rather than a faceless corporate. So it seemed sensible to commute some of my holiday into a working holiday and take a few days out to get to know the Dilmah story better. Firstly as a family they are all committed and share the same values from the heart, it is very evident. It’s not just as PR speak but inbuilt into their DNA as a family. That’s what you notice most. 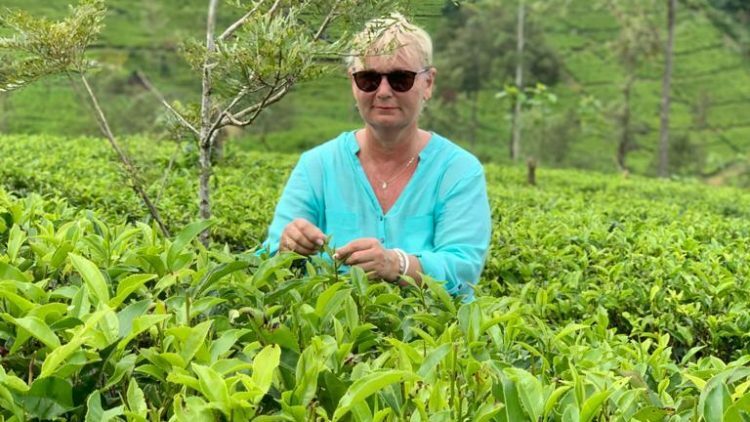 They were generous with their time and hospitality in making sure that in the limited time available I really understood why the founder decided it was important to home process rather than lose out to the large bulk buyers so that more of the money could benefit the local economy and, also vitally, increase the quality of the tea served. Mr Ferdinand is the figurehead of the business and although well into his 80s, he is still active and passionate about his legacy. Plus as my friend said drinking tea must be good for you as he looks amazing and not a wrinkle – so I’m upping my game on the tea front, I’ll definitely have more of what he is having! His two sons are excellent ambassadors (Dilmah is a mix of their two names) and are great successors for their father, both having absorbed, and now able to live and develop the values of their father effortlessly. Dilmah gives 10% of its profits to run centres that don’t give on a material front but allow the communities to have and build for themselves. It’s about making it better for the communities and less fortunate, and making sure they have a long term impact to make their own lives better. Educating women and giving them life skills – Through cooking, sewing, art, gardening, craft skills etc. Education of females, in particular is important. Girls are under pressure to ‘conform’ and stay at home with a non-educational future, so these centres and activities are giving them other outlets, where they can gain confidence, maybe to know there are opportunities out there which they are more than capable of achieving. Cricket mentoring – Not only do girls and boys learn the great game of cricket but also many life skills such as team work and mentoring. They then go out into the communities building knowledge and using this confidence to seek change. Kitchen garden – Here the foundation and its centres show communities how to grow, recycle and harvest their own food so they can improve their heath and families wellbeing. This maybe a small patch of land, with vertical gardens, by using recycled items as containers for plants means it is accessible to everyone. Recycling – there is a number of initiatives to take everyday items and make sure they can be used in a practical way to support everyone in the community. Refuge and support for females in difficult domestic or abusive situations. So by purchasing Dilmah we are really helping a real community, plus as more of the tea is processed and packaged in Sri Lanka it helps keep the money in those communities rather than being bulk bailed and then shipped off elsewhere – where by, I believe not only is the money going to corporates, the quality also suffers and based on my learning about tea I know the fresh tea leaves need to be packaged sooner rather than later. More to come instalment 2 on what I didn’t know I needed to know about tea!